I want to say thank you to everyone who has bought a copy of Paws for Story Time, and everyone who has helped us to sell them. Already we have sold over five hundred copies! People have been so generous with their time. I want to pay particular thanks to Brian Moran who manned a stall at the craft Fair in Rush on Sunday 24th November. Brian’s boss at Mitsui Sumitomo very generously promised to donate up to €500 to Crumlin Hospital if Brian was able to sell fifty books. Brian exceeded his target and so between them Brian and Mitsui Sumitomo are lodging €1000 to the Crumlin account! The people of Rush and Skerries have been extraordinarily generous. 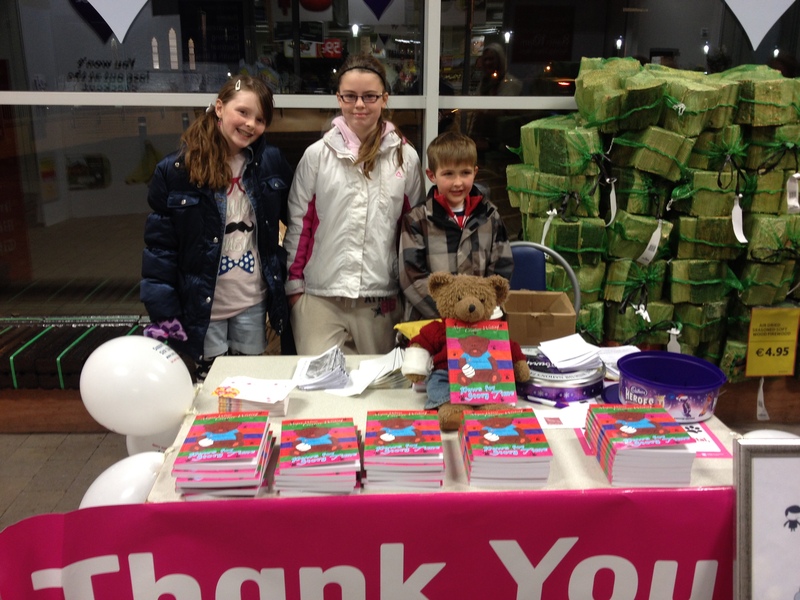 Sharon Rudden and her team of helpers achieved amazing sales in Tescos in Rush on 22nd and 23rd November. Thank you everyone who bought a book and to those who gave their time to man a stall: Alison McKenna, Gay Smyth, Claire Oakes, Lorraine, Sadhbh and the Eddison family, and Ella Manning. Below is a picture of Sadhbh Eddison and Ella Manning (who both have stories in the book) with Sadhbh’s younger brother at Tescos in Rush. 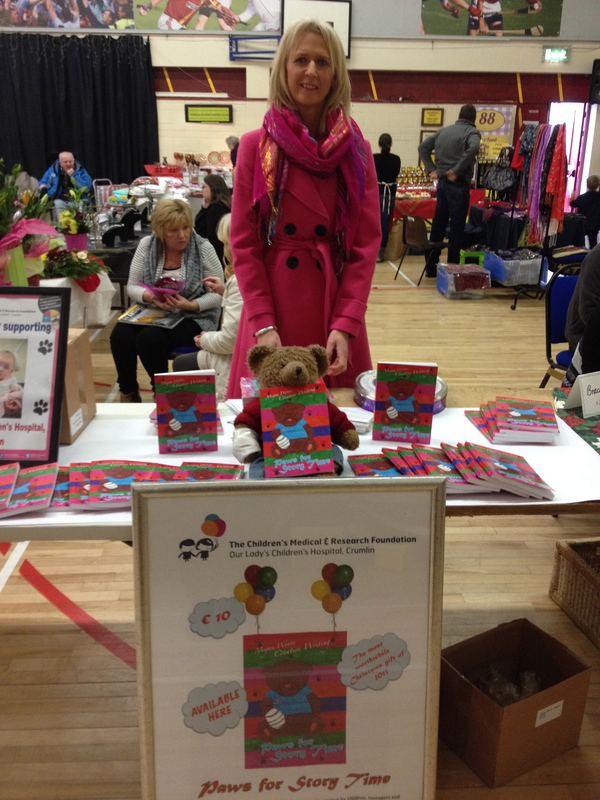 Below is a picture of Sharon Rudden at the Rush Christmas Craft Fair. How could anyone refuse to buy a book from this lovely woman? Answer: nobody can!